Here to continue Breast Cancer Awareness month is our TODAY Style Squad member Bobbie Thomas. From fashion to beauty and skin care, she’s got stylish finds that give back — the proceeds go to breast cancer research, prevention and funding non-profit organizations. Also available at Bloomingdale's and Saks. 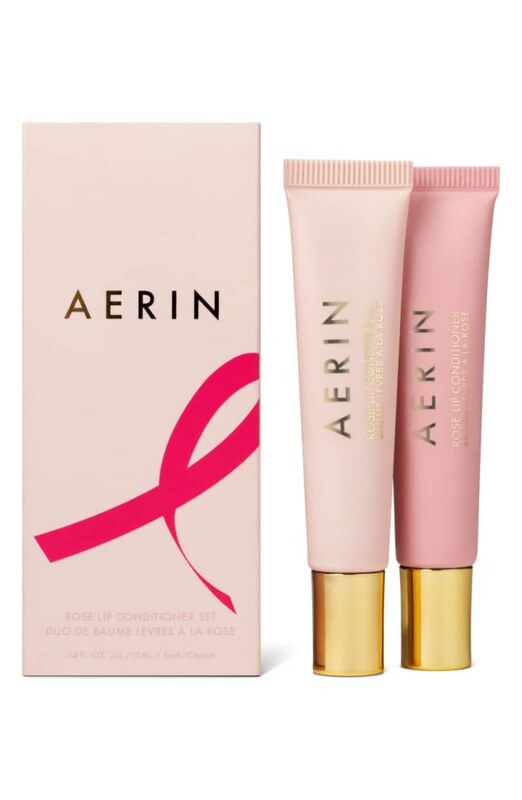 From now until June 30, 2019, Aerin will donate 100 percent of the purchases of the Rose Lip Conditioner Set (with a maximum donation of $20,000) to the Breast Cancer Research Foundation. Every October, June Jacobs commits to donating 50 percent of the net proceeds from their Rapid Repair Healing Cream sold on JuneJacobs.com to the Anne Moore Breast Cancer Research Fund and the Dubin Breast Center. 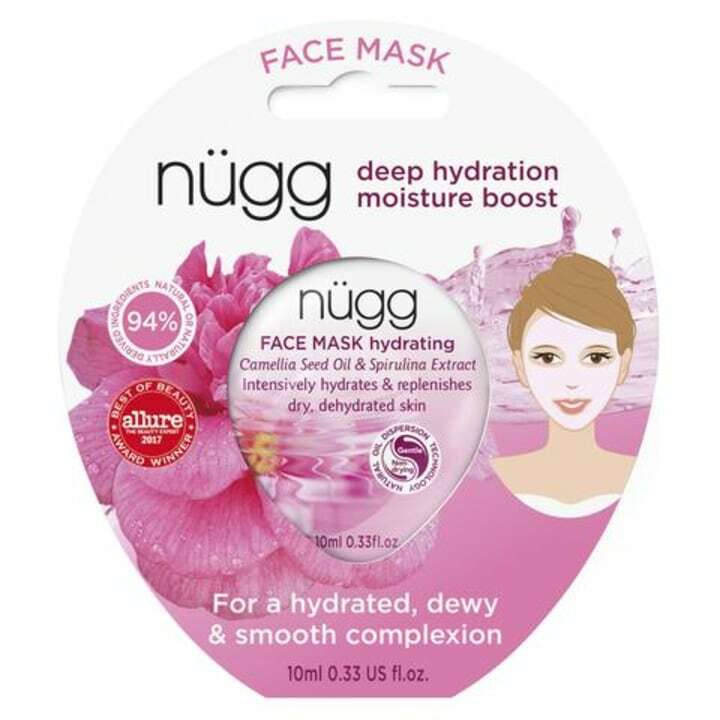 During the month of October, $2 from each sale of Nügg's hydrating face mask five pack and all of the sales from the lip scrub and smoother will be donated to Cancer & Careers. The hydrating face mask contains Camellia Seed Oil, Spirulina Extract and Aloe Juice. Also available at Amazon, SkinCareRX, Lookfantastic and Mankind. Elemis has pledged to donate $25,000 to The Pink Agenda — an organization committed to raising money for breast cancer research and care, as well as awareness of the disease among young professionals — regardless of sales. 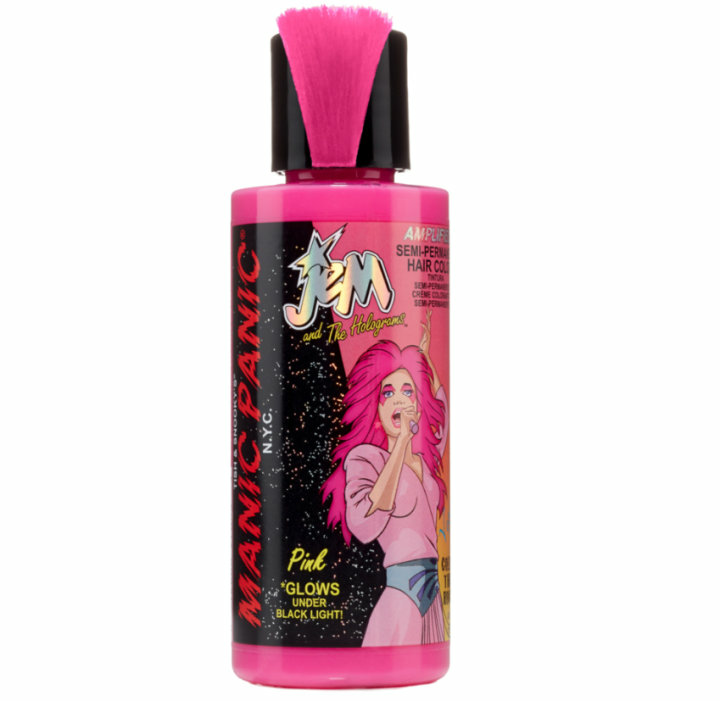 Throughout October, 100 percent of the proceeds from the sales of this fun and funky semi-permanent hair color will be donated to Cancerland. Also available at Sephora, Urban Outfitters and Revolve. During the month of October, 30 percent of the proceeds from sales will be donated to Look Good Feel Better. 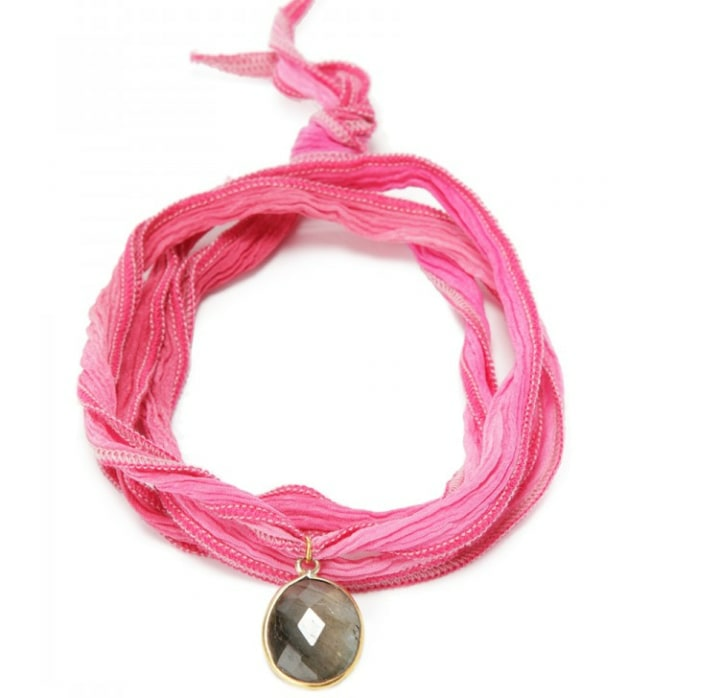 This month 50 percent of the retail price of the items in the Crystal Love Collection will go to the Pink Fund. During the month of October, 100 percent of all proceeds from Côte's Think Pink Set go to support the Phase One Cancer Research Organization, a nonprofit clinical cancer research foundation with a mission to find treatments that will "transform what might be terminal illness into hope for a full and productive life." During the month of October, 50 percent of the purchase of these Ulta Beauty products goes to the Breast Cancer Research Foundation. Each one — from a water bottle and notebook to pouch, picture frame and jewelry — is just $5. 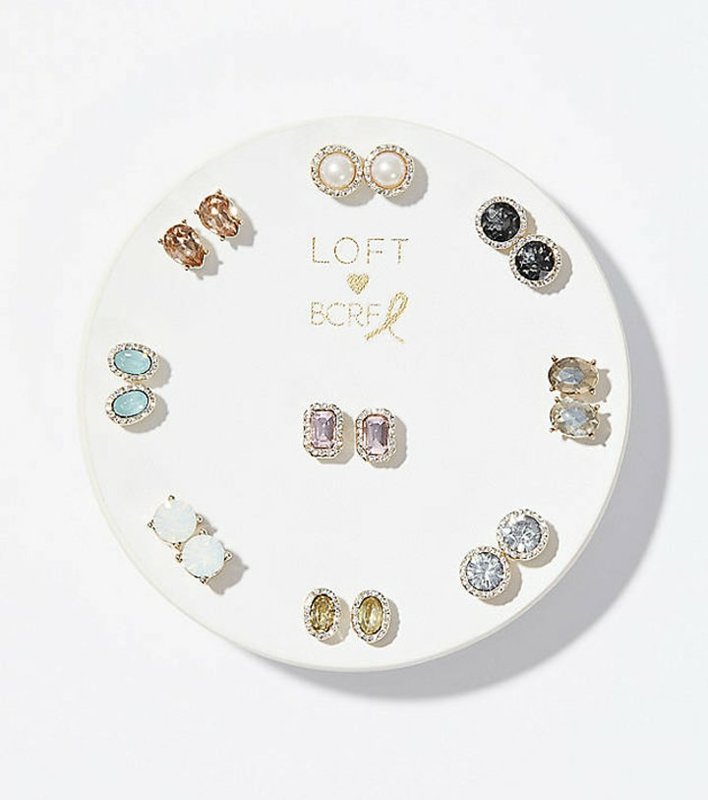 From now until Nov. 15, Loft will donate 60 percent of the purchase price of this pretty stud earring set to the Breast Cancer Research Foundation. 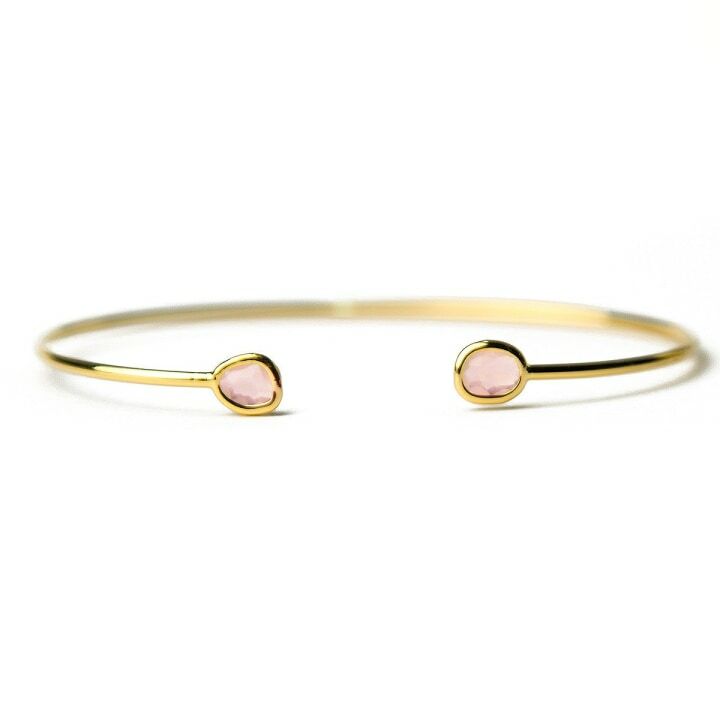 Throughout October, Jemma Sands will donate 100 percent of the profits from this delicate pink bracelet to the Breast Cancer Research Foundation. Tai has partnered with Breast Cancer Charities of America, which focuses on integrated cancer care, to donate 50 percent of the proceeds from this mini cuff bracelet. 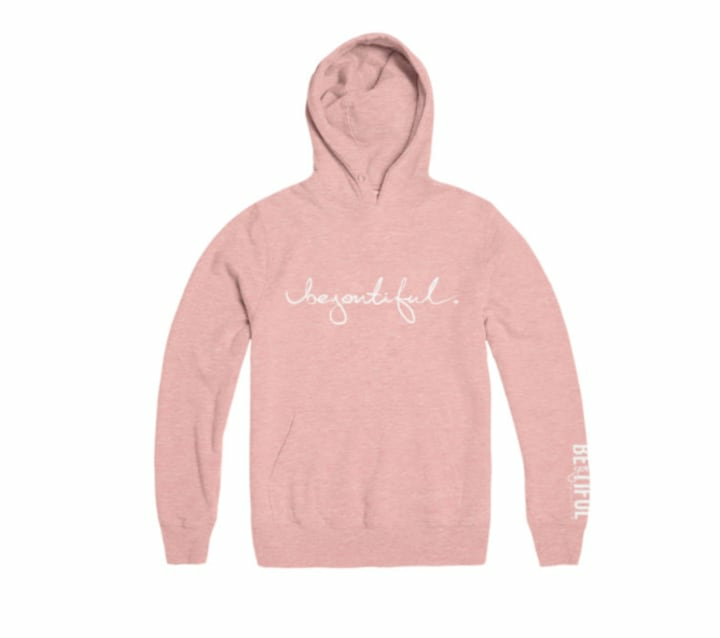 All profits from the sales of this cute pink or white hoodie go to the BeYOUtiful Foundation, a non-profit dedicated to connecting salons and stylists to local survivors, providing online hair education (covering cutting, styling, utilizing wigs and dealing with chemo hair), and helping women feel beautiful from diagnosis to remission. Jane Iredale PlayOn Lip Crayon, Sunny, 0.1 oz. 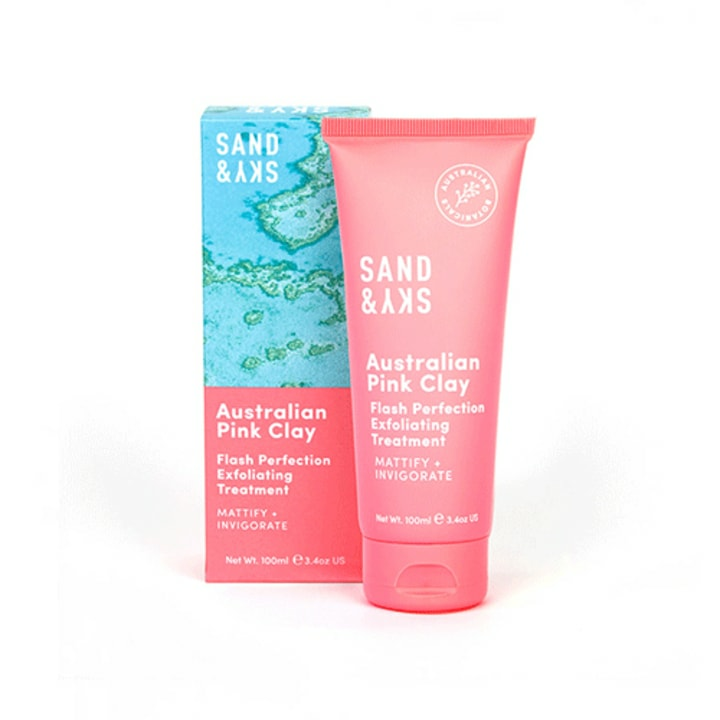 Also available at Jane Iredale, LovelySkin and Amazon. 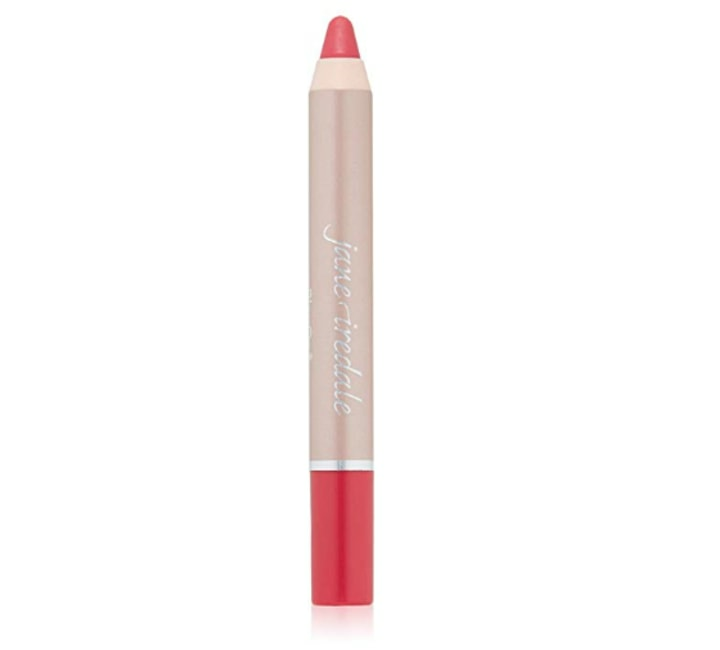 When you purchase one of Jane Iredale’s PlayOn Lip Crayon in the vivid rosy pink "Sunny" shade, they will donate 100 percent of the profits from the sale to organizations that benefit women and girls nationwide, including Look Good Feel Better. From Oct. 1, 2018 through Sept. 30, 2019 (a full year! ), Tobi Tobin will donate 100 percent of the net profits from their Hope candle to Susan G. Komen, up to $25,000. 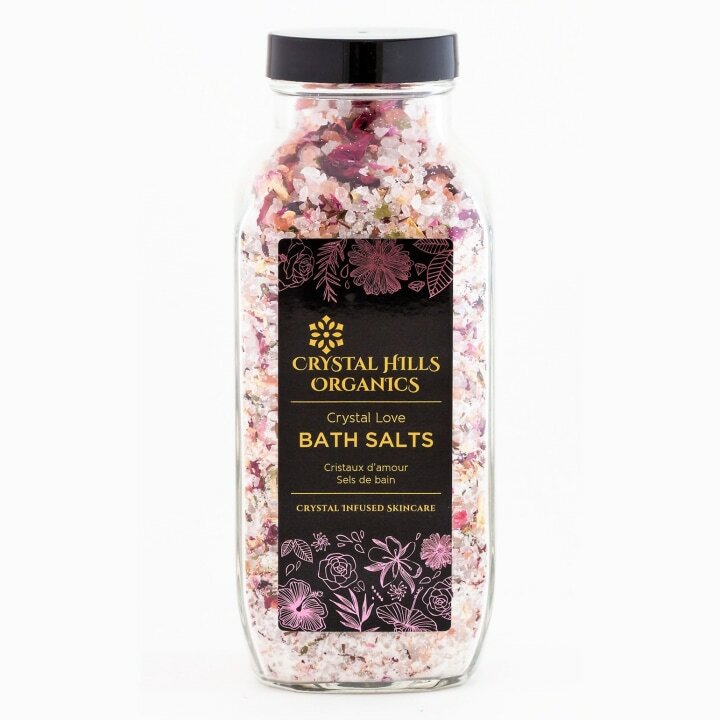 Also available at Dermstore and Ulta. Laura Geller, considered the queen of “baked beauty” (her Tahitian Glow Baked Body Frosting is a cult favorite), will be donating 75 percent of the proceeds of her Life Goes On! Illuminator Palette through the month of October. 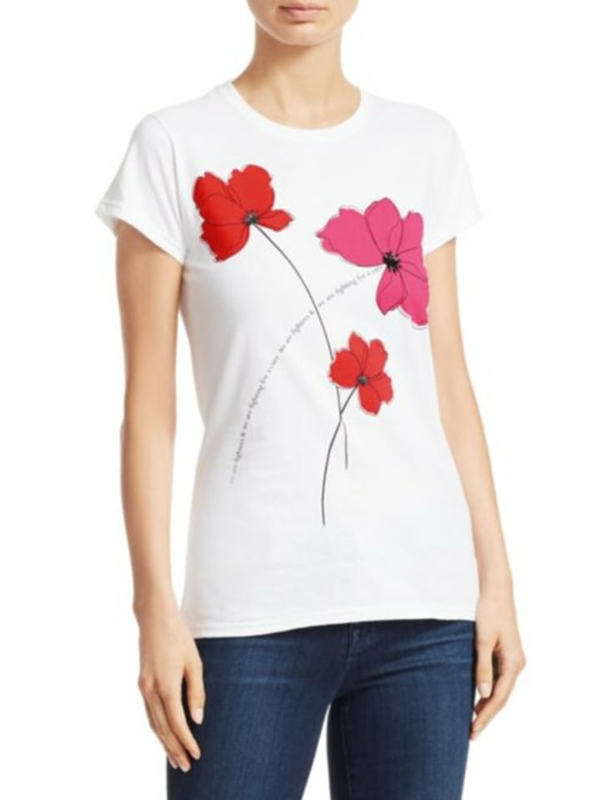 This year marks the 20th anniversary of the Key to the Cure T-shirt, designed by Carolina Herrera. For the month of October, 100 percent of sales from T-shirts sold at all Saks Fifth Avenue stores and online will be donated to AiRS Foundation, with a guaranteed minimum donation of $250,000. 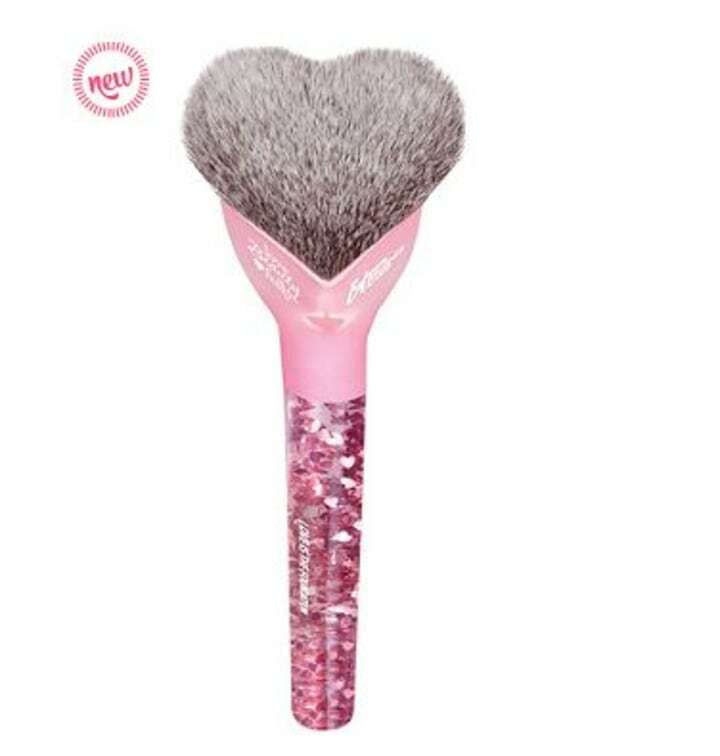 With a fluffy head of bristles shaped into a heart and a confetti heart handle, the 'love beauty full love is the foundation' brush is an essential beauty kit purchase — with benefits. For each one purchased during Breast Cancer Awareness Month, IT Cosmetics will donate one to the Look Good Feel Better program, "to help women face the appearance-related side effects of cancer with confidence." 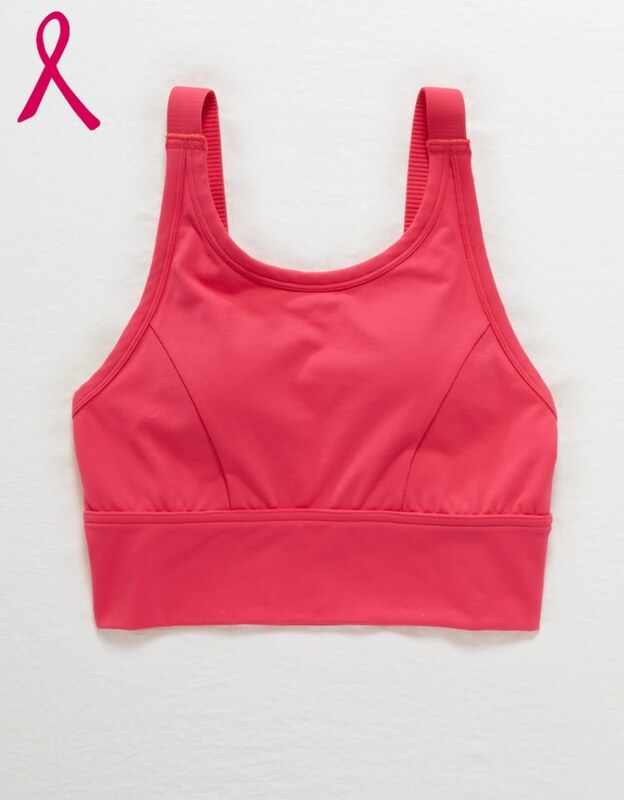 American Eagle has created a limited edition workout set of a bright pink sports bra and high-waisted leggings, for which 100 percent of U.S. sales go to Bright Pink, a non-profit dedicated to prevention and early detection of breast and ovarian cancers in young women. Evelyn H. Lauder founded The Breast Cancer Research Foundation in 1993 to help fund “the most promising breast cancer research worldwide.” One hundred percent of the profits from each purchase of this four-piece color collection go towards the foundation. Better Skin amaze balm, $36, The Better Skin Co. 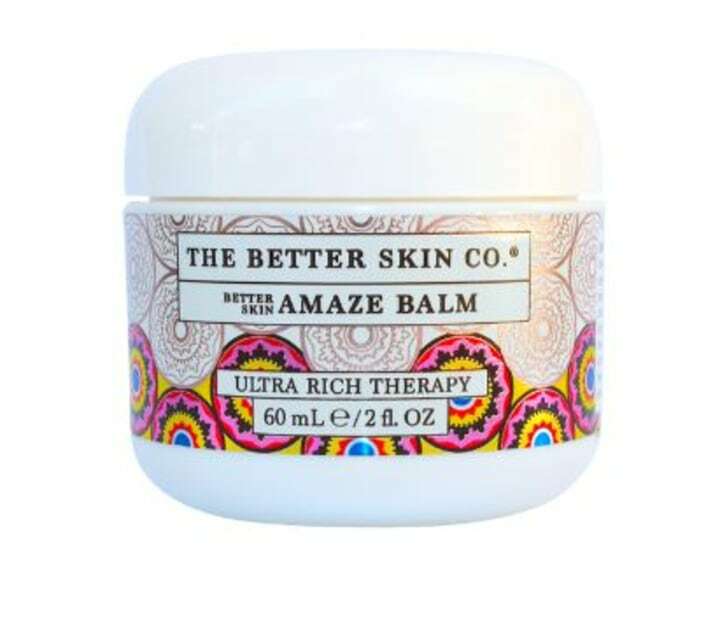 The Better Skin Co. is donating 100 percent of the October proceeds from their Limited Edition Pink Gold Amaze Balm to the Young Survival Coalition (YSC). YSC is specifically devoted to the critical issues unique to young women who are diagnosed with breast cancer. Scented with a hint of grapefruit, coconut oil, avocado, sunflower, evening primrose and sea buckthorn, this balm nourishes your skin. This article was originally published on Oct. 1, 2018 on TODAY.com.